Lubabetu Abubakar discusses her work, motivations and ambitions as well as her experience of transitioning to full-time photography. The contemporary art scene in Nigeria is currently witnessing an infectious verve with galleries like Rele, The Thought Pyramid, TerraKulture and major exhibitions like the coming Lagos Biennale. Among the prominent artists stirring a burgeoning following is photographer and art director Lubabetu Abubakar, often referred to as Lubee Abubakar. 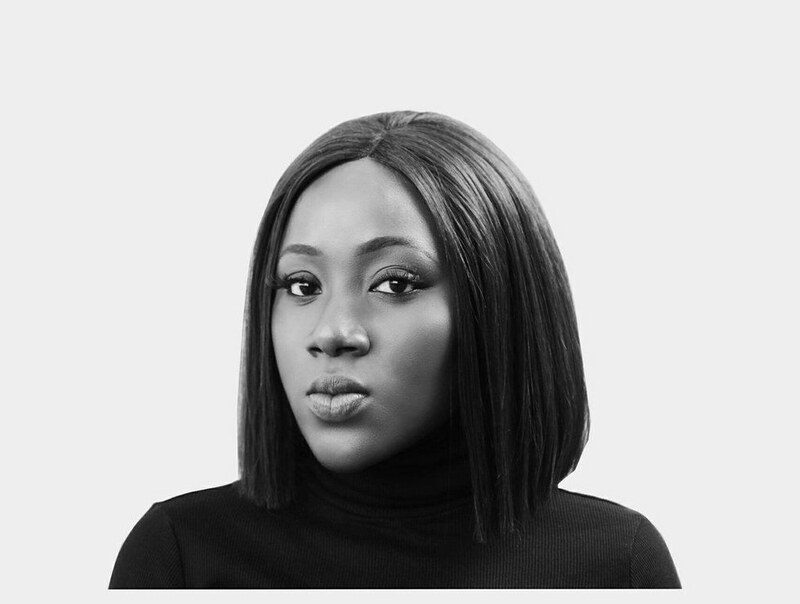 Since graduating from the Nigerian Law School in 2015, she has worked as lawyer, photographer and art director until she decided to devote herself to the creative industry last year. She has since risen to become one of Nigeria’s most ingenious and recognized photographers and art directors. Regarding her work is often an experience of having nostalgia trickle into you from hands that are fresh, daring and dignifying. “Curious—I am a very curious 24-year-old woman who loves art, experiencing life in Nigeria,” Abubakar says when describing herself. This curiosity is evident in her how experimental both her work and her endeavours have shown themselves to be. Her work has been featured in Vogue Italia (making its way to the “Best Of” page just last month), FADER, SpiceTV, Positive Magazine, Sukeban among others and she won the 2016 award for Fashion Photographer at the Nigerian Fashion and Style Awards. The Sole Adventurer recently named her one of the artists redefining the art of photography in West Africa. We reached out to Abubakar to discuss her work, motivations and ambitions as well as her experience of transitioning to full-time photography and working as an internationally recognized artist in Port-Harcourt. Photo courtesy of Lubee Abubakar. Immaculata Abba for OkayAfrica: What was behind this decision to transition from working as both lawyer and part time photographer to full time photographer and art director? Lubabetu Abubakar: I decided to fully immerse myself into growing as a photographer and art director because I have a genuine, raw passion for visuals. That kind of passion is rare and I reckon it'll be a disservice to myself if I don't utilize it. I'm a visual person, I have always been a visual person and I am confident I have much more to offer in that field. To be honest, it hasn't exactly been easy, but I'm realizing that as this is a vulnerable phase of my life I can't expect 'easy.' I think the most difficult thing is admitting your passion for one thing over another (especially having invested so much time & effort into the other thing). Photography and law are two very different mediums/forms of communication. Photography nurtured, and continues to nurture, my curiosity while law encouraged me to calculate thoughts. But I won’t say I have dropped law completely as I still handle some legal work here and there. And would you say photography as an art form came to you or did you stumble upon photography? How long ago was this and before then were you exploring any other art forms seriously? This was during my foundation year in Norwich and I was studying law at the time. And about any other art forms, haha, I don’t like to talk about this but I explored rap. Briefly. Haha! Briefly, she said. Now that you are here, fully in the Nigerian creative scene, you do a lot of fashion photography as well, does the industry feel lucrative enough? Because one gets the sense that with a precarious economy like Nigeria’s, the creative industry is especially precarious. Definitely. The fashion industry is growing and Nigerians are becoming more aware of the value of visual communication. Images carry value. But I hope I am not making it sound too sweet. Nigeria is not the most nurturing place, in many ways. Somehow, because I was expecting the worst, this is encouraging to hear because of the single story of the ‘poor struggling artist’ that often comes to mind. With regards to community and reception, what has the industry been like for you? From my perspective, there is a great community spirit! A lot of my work has been inspired by Nigerian photographers and there's always a Nigerian creative cheering me on. So yes, there's a community spirit but it can always grow bigger nonetheless. I am really happy and grateful for the reception of my work so far. Living as an artist in Nigeria is an interesting thing and being able share my perspective on life with Nigerians and on an international platform like Vogue is a blessing and I am living it up. Do you see living in and working from Port-Harcourt, Nigeria as more of a limiting or empowering factor to your work? Hmmm, I'll say both. Port-Harcourt is a quiet city and I love that about her, but for a growing artist, a quiet city may have more downsides than upsides. Living and working in Nigeria keeps me grounded but I intend to travel a lot more within the next couple of years. Get out of my comfort zone, work with different people from different places and be inspired by different cultures. Do any of your identities matter especially to the reception you get? Do you ever get the feeling that because you are ‘x’ be it woman, young, African, Nigerian, Muslim, you or your work are made to stand out or appear more appealing to any market? I don't think any of my 'identities' affect or has affected the reception of my work. I do know some people are surprised to find out I am a woman and not a man, but that's for other reasons. The beauty of being a creative is that you are creating something that is an extension of yourself and/or your experiences in life. So maybe in that sense what I identify with can affect the kind of work I make and in turn the kind of crowd I attract. I must say that your work continues to inspire me the same way it did when I first stumbled upon your website. Preparing for this conversation, I went through your website and Tumblr archives and once again I have found myself a trance from your work. What you do with both the black skin and the color blue is magical. And that color features prominently in a lot of your photographs, why blue? Thank you for such kind words. You know, before now, I never really realised my love for blue. I had to quickly go through my Instagram page to reconfirm. Maybe I saw a lot of blue growing up, maybe blue makes me feel cool. I am not entirely sure. Your portrait of Gracey Peters that was featured in Vogue Italia, is easily in my top 5 Lubee Abubakar pictures. I remember seeing it for the first time on twitter and feeling like I have seen this picture all my life but at the same time, like I have never seen a picture like this ever! Please tell us the story, any of the stories, behind it. Haha! There is actually no particular story behind it. Gracey is gorgeous and that was our first time working together. I saw her face and I immediately knew I wanted her in something with a story appeal. So I styled her and boom, we made magic. And your new series Ojoro is really interesting because its palette and style are nothing like those in most of your previous work. What is behind Ojoro? I was going for a grungy feel. And Ojoro is about pain. The editing style is a visual representation of how period cramps feel or can feel. We don't talk about it enough, and that can somehow make it into a myth. So I wanted to talk about it. Hearing that has opened up for me a whole new way of looking at that series. Now, I know this is like asking a mother to choose her favourite child but if you had to choose your all-time favourite photograph, what would it be? Wow, this is hard. They really do feel like my children sometimes. But I really like my series ‘Ghosts and Lanterns.’ It is my take on documenting Nigerians, my perspective on Nigerians and living/existing in Nigeria. It also carries a lot of meaning and hope for the future of Nigerians. With it, I explored documentary photography and that is something I hope to continue. And what about your process, when approaching a photo assignment, what is the most important thing for you? What do you want people to see in and like about your work? I love colours and shapes, and I like to think I am communicating some kind of emotion with my work. That’s usually the goal, to communicate an emotion or a set of emotions. I think I try as much as possible to imitate what I see or remember seeing with my eyes. Most of my work is my best attempt at painting from memory. What have been some of your greatest creative influences? This is really tough to answer because I have been influenced by so many things and people. But if I had to randomly pick four, I’ll say: Kanye West's 'College Dropout,' my village Okene in Kogi State, David Ogilvy, and my awesome little brother Jamiu Abubakar. What advice would you give young photographers or artists in general looking to pursue a career in the creative industry and especially as photographers or art directors? In my opinion, that’s the best advice. I find that it is almost impossible to separate curiosity from creativity. It is hard to imagine that you can be one and not the other. So I always say: push yourself to try new things, no matter how scary it may seem. For visual artists, I will say to always feed your eyes! Keep them fresh with new visual information; colours, graphic design, font styles, illustrations, images, videos etc. The only real winner in life is time and the value of mine has to amount to some kind of growth.